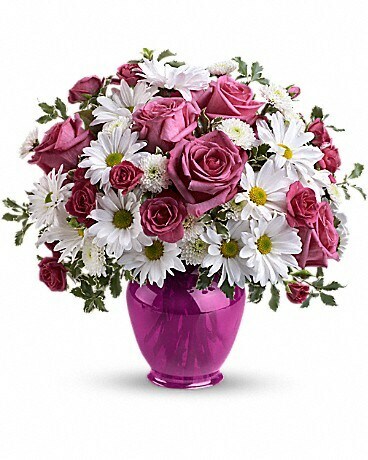 Teleflora's Pink Daisy Delight - by Kearney Floral Co., Inc.
Today, rather than emailing your best friend, send a surprise bouquet of pink roses and white daisies in a dazzling fuchsia ginger jar. 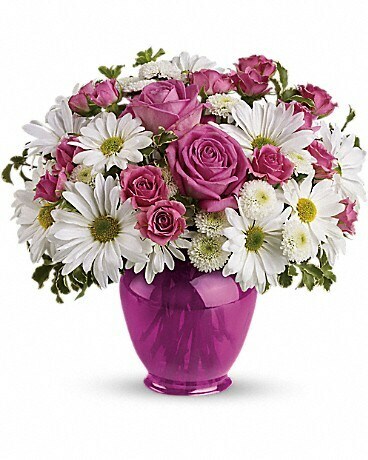 They'll ask, "What's the occasion?" Just say, "You are." 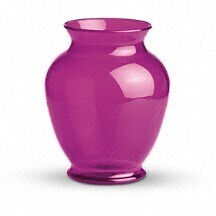 Surprisingly enough, this classic ginger jar in rich fuchsia is made of durable, high-quality plastic. 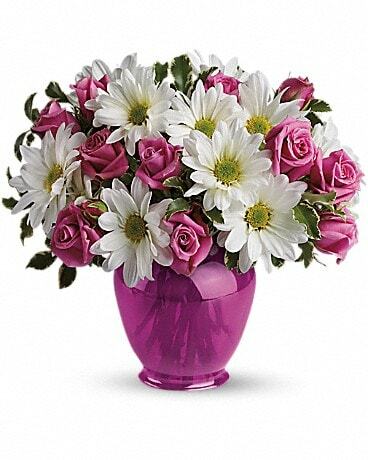 Available exclusively from Teleflora, it will be a favorite for many years to come.